Rosemary Barton states incorrect facts about Trudeau’s refugee plan. Parliament Hill journos attempt to get into the ring with Cabinet Ministers but the Ministers are on another floor. CANADALAND gets NFLD’s ATIP reform “spectacularly wrong.” The National Post passes judgement on Furlong’s accusers without actually speaking to the accusers. 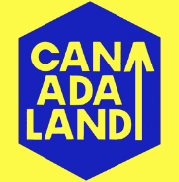 CANADALAND publishes their affidavits. Buzzfeed’s Paul McLeod discusses.